Two Tier Housing Displays - Cal-Mil Plastic Products Inc. 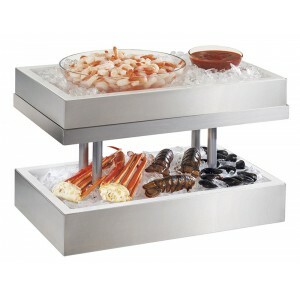 Display your seafood, accompanied by cocktail sauce and more with our this insulated 2-tier ice housing display. Constructed of a durable metal frame, this includes two foam and acrylic sealed housings.